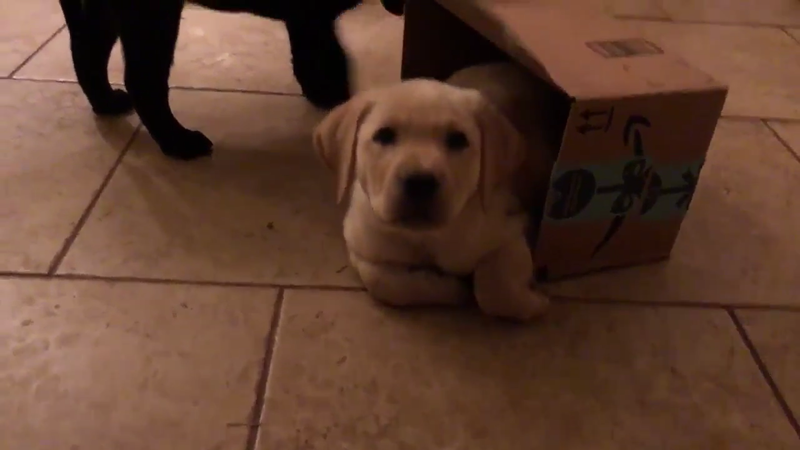 Gotta love free and low-cost toys - like this cardboard box that is highly reinforcing to these adorable service puppies in training! Trainers too find low-cost and no-cost tools that make their lives a bit easier and their business more productive and effective very reinforcing. If you are going to ClickerExpo Washington DC, join Laurie Luck of Smart Dog University for a Session on several free promotional and administrative tools that can be used right away.